Fighting games are not what they used to be. The King of Fighters series does not receive the same credit as other fighting games. Games like Street Fighter and Mortal Kombat are revered and we often see people who are not familiar with fighting games indulging themselves on bone-breaking finishers and almost movie-like story modes. King of Fighters XIV was released on August 23 for the PS4 and it is a very good game with a large roster of characters and a complex fighting style that makes for a range of dynamic matches and combinations to apply in battle. Since SNK has now stepped into the realm of 3D fighting games, joining games like Street Fighter, it may be time to bring back Capcom vs. SNK. Capcom vs. SNK is a collection of fighting video games that features characters that appear in games from both companies. These types of cross company fighting games were extremely popular in the late ‘90s/early 2000s. Capcom vs. SNK and Marvel vs. Capcom were both staple fighting games and wildly enjoyed by both regular game players and the competitive gaming circle. MVC continued well into the 2000s with MVC3 releasing in 2011. Why was that series able to continue and not Capcom vs. SNK? Maybe it has something to do with the game mechanics. Marvel vs. Capcom is much easier to pick up and just play – even if you are not an avid video game player. On the other hand, Capcom vs SNK is quite difficult to play if you are not used to fighting games. Even now, the new King of Fighters has a button combination system that seems like it can only be mastered by the most dedicated of video game players. If you are not wholeheartedly invested, it makes sense that the game would seem dry and boring. Even Mortal Kombat simplified its fatality system by making it a couple of buttons instead of a series of moves and button presses. The difficulty along with the wide range of playable characters that you have to learn moves for can make the game a chore to actually learn. However, its difficulty is what sets it apart from other games in the genre. It is not a game for people who button mash. It is a game that is reserved for the serious fighting game players. 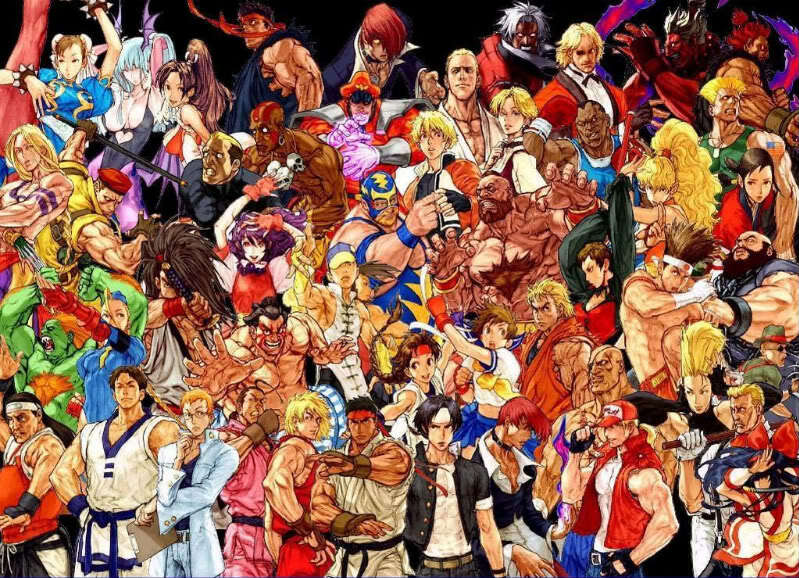 If Capcom vs. SNK were to come back, the game would probably be one of the biggest competitive fighting games ever made. The difficult fighting system makes for some of the most interesting matches because there is never an instance where one individual is a clear winner. Battles can always take a turn depending on the character who is in use at any given moment. Unlike MVC where the characters can switch out, this is not a trait that is in Capcom vs. SNK. Therefore, fighting matches become like chess matches when developing strategies for defeating opponents. King of Fighters XIV already has 50 playable characters to choose from. The current Street Fighter game has 21 playable characters, but it does not mean that there is not a capacity for more. Capcom includes Street Fighter, Darkstalkers, Megaman, Resident Evil, and more that can be included within a new Capcom vs. SNK. The game would have the most varied list of characters that it would make the list from MVC2 look like child’s play. A new Capcom vs. SNK would bring a new dynamic to fighting games and reintroduce fighting games into popular gaming. In a world where everybody is consumed by shooters and discovering new planets, a good, captivating fighting game has to take over in the same way they did in the 90s. It will not be easy, but it can definitely be accomplished.